With the premiere of A Midsummer Night at the Savoy, Rejoice! 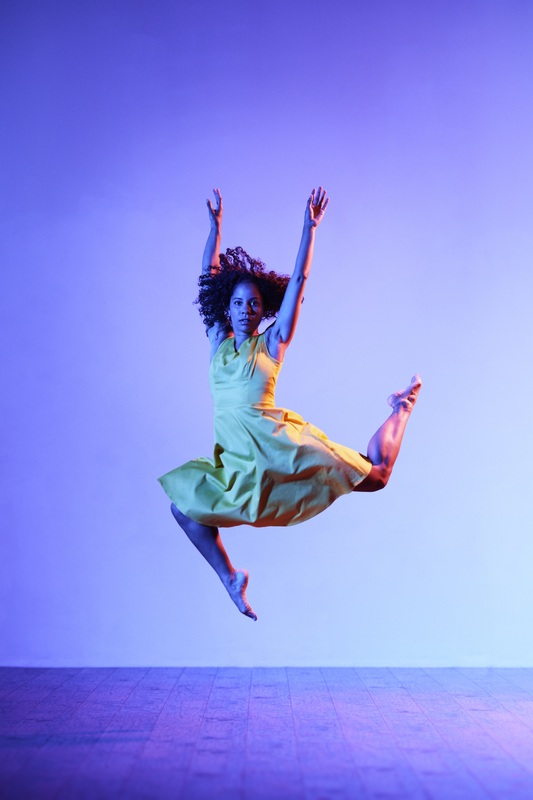 Diaspora Dance Theater has created something that feels both timely—touching on race and migration, two issues at the forefront of America’s collective consciousness—and timeless, in that it hopscotches across countries and eras. Don’t go expecting an African dance concert per se: despite what you might think from the name, Rejoice! is primarily a contemporary dance company. “Our goal is to broaden people’s idea of contemporary dance,” artistic director Oluyinka Akinjiola told me last week. “We reference African dance traditions but put them in a contemporary context. 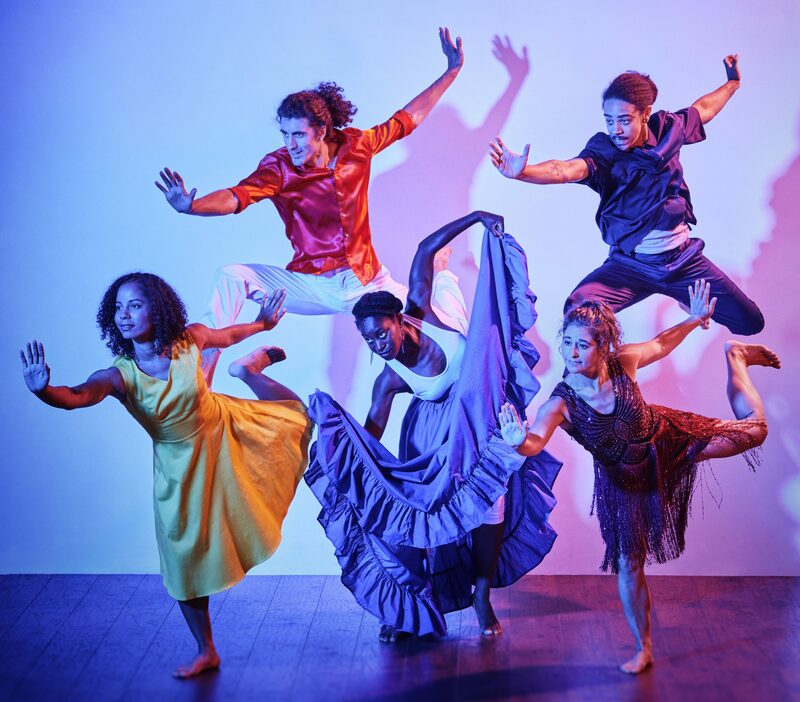 Contemporary dance doesn’t always mean Euro aesthetics.” That said, you will find a trajectory of African influence across the Caribbean, South America, and the U.S. in You. Me. World, a kind of prelude incorporating West African, capoeira, street- and club-dance styles. Pay attention, because they’ll all reappear in the main event. A Midsummer Night at the Savoy is an ambitious narrative work based on the premise that Harlem’s groundbreaking, racially integrated Savoy Ballroom never closed. The ballroom serves as the setting for the action; the plot is drawn from Shakespeare’s A Midsummer Night’s Dream, although the voiceover text (courtesy of actor Kevin Jones) comes not from the Bard, but from poet Langston Hughes, a leading literary figure in the Harlem Renaissance. That storied era was fueled by the Great Migration, as African-American Southerners moved north to escape the oppression of Jim Crow laws. And migration is a principal theme stitching together the pieces that Akinjiola and company members Decimus, Michael Galen, and Jamie Minkus choreographed for the four-act whole. Brian and Nikki Weaver, founders of the Portland Playhouse, where the show is held, contributed dramaturgical assistance. A multiracial cast of 20—Rejoice! company members, Portland Playhouse apprentice company members, and the Rejoice! Community Ensemble—set the scene, smartly clad in the evening wear you’d expect of Savoy habitués, and grooving to Nina Simone. Mischievous bartender Puck (Kiel Moton) concocts a mystery potion that wreaks havoc among the two main couples, played by Decimus, Galen, Minkus, and company member Beth Harvey. (Relationship status? It’s complicated.) As with the original, their romantic travails are interspersed by a play within a play: Here, that’s performers taking turns speaking and dancing their own stories of family migration. Minkus’ tale of Jewish family members fleeing Russian pogroms and facing closed borders, in particular, feels awfully familiar right about now. The Savoy, as Akinjiola pointed out when we spoke, was a generator of dance forms. As a setting, it also works as a repository of migratory dance styles. With her undulating torso and quick, light-footed jumps, Akinjiola gives us African technique as a baseline; Decimus and Galen work out their romantic rivalry on the dance floor through the acrobatic sparring of Afro-Brazilian capoeira, and Galen underscores the story of his tailor/designer great-grandfather with voguing steps. At the show’s preview, the pace occasionally lagged; it might pick during the rest of the run. And there’s a lot to absorb. But one of things A Midsummer Night at the Savoy does especially well, in my estimation, is show dance not just as a performative art form, but as a historical builder of culture and community. The Savoy was a place where people came together, proudly showcasing their own individuality and embracing others for theirs. Is it naïve to wish the rest of the world was more like that? “We are a country of immigrants and migrants,” Akinjiola said. “We have to acknowledge that history.” It is, after all, what really made America great. A Midsummer Night at the Savoy runs Nov. 2-4 at the Portland Playhouse, 602 NE Prescott St.